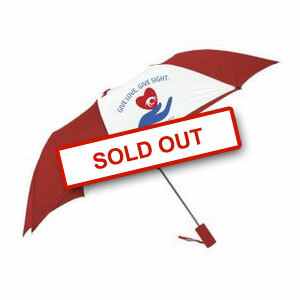 Open this 100% nylon umbrella manually and take cover under the large 60″ arc. Windproof, vented canopy withstands moderate wind gusts without turning inside-out. Rubberized grip handle gives you a good solid hold on the golf umbrella. Black steel shaft and double ribbed construction hold up well against impending weather. Stash the neat package in your home or work foyer for unpredictable conditions.